Plan your Duke Gardens visit to include this special opportunity to meet the keepers of the Charlotte Brody Discovery Garden. 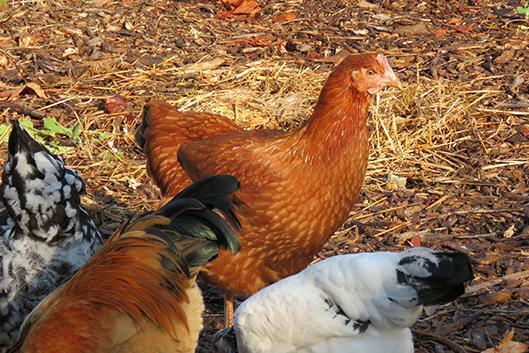 In this class, horticulturist Lindsey Fleetwood will introduce you to the chickens and explain their preferences, including dust baths. The Meet the Keepers series in April and May also features curator and horticulturist Jason Holmes exploring fascinating facts about plants and gardening, and assistant horticulturist Nick Schwab explaining what and how bees eat and how they communicate. Dates and topics: gardening on April 12 or May 3, bees on April 19 or May 10; chickens on April 26 or May 17. Location: Charlotte Brody Discovery Garden. Fee: Free drop-in program for all ages. Adult chaperone required for children. Parking fees apply. Information: 919-668-1707 or gardenseducation@duke.edu.